Join our mailing list and be updated on where we will be teaching, Zouk and West Coast Swing events and more! Mailing list subscribers will get early access to event promotions and deals! 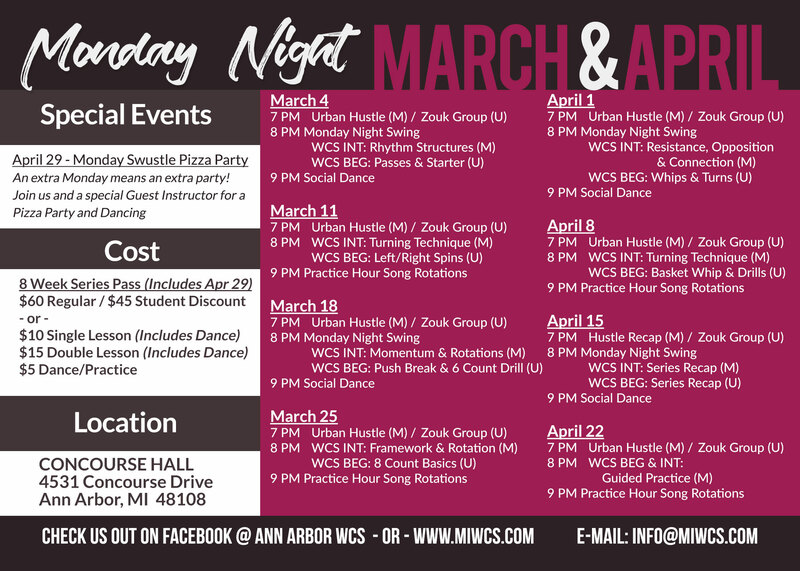 Read Our March and April Update for Monday Nights! Got a Question, or Comment? Drop us a note and we will get back to you as soon as we can.